We have two and three bedroom, standard sized Noosa accommodation apartments featuring everything you need to enjoy long or short stays in Noosaville, nearby Hastings Street. Each unit includes a well-appointed kitchen and spacious floor plan. All garden side holiday apartment rentals are surrounded by tropical landscaping and some have glimpses of the Noosa River. 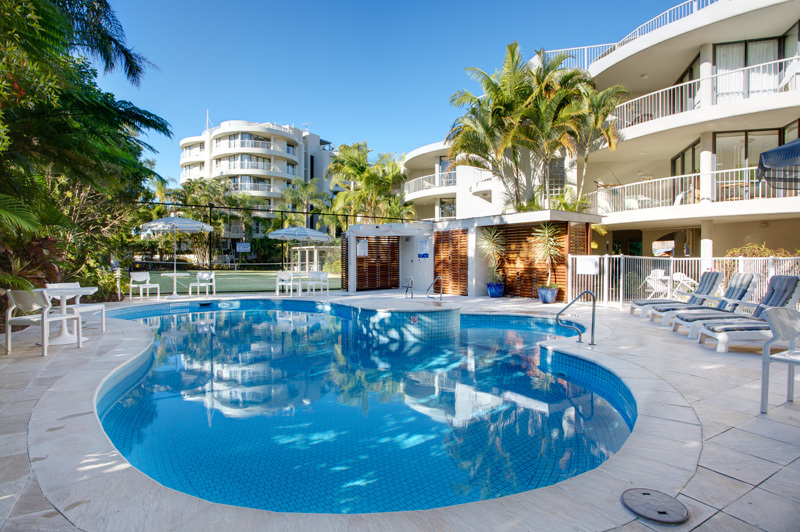 With access to the garden side Noosa resort’s facilities including pool, BBQs, tennis courts and sauna – the garden side apartments have all the facilities you need and more. These Noosaville hotel style apartments are stair access only and have a view of the garden and resort area. Garden side apartments are smoke free in rooms and on balconies. All garden side holiday apartments are surrounded by tropical landscaping and some offer glimpses of the Noosa River. Guests have a choice of either the two or three bedroom, standard waterfront Noosaville apartments with access to the garden side facilities including garden side pool, BBQ area and tennis courts.